Sloan has been paralyzed with fear since her mother abandoned the family. A preceding incident left her forever changed, and Sloan finds herself unable to move on with her life. Her family leaves her at home for what should be a quick trip, but when a snow storm sets in, Sloan is forced into action. The harsh conditions only get worse,and then the wolves in the area decide to attack. Will Sloan and her friends be able to get to safety in time? This is a really quick read with lots of excitement. I was a little worried about not having enough time to connect to the characters, but I didn’t find that to be true. I loved the friendship between Sloan and Pilot, as well as the complicated relationship with his father. Be sure to read the author’s note at the end about her trip to visit the wolves. It’s pretty interesting! Book three of The Remnant Chronicles starts off right after Lia and Rafe’s dangerous escape from Venda. Once they are safe, they are quickly faced with the decision of how to save two different countries. A change in Rafe’s status means that they are forced to make some tough decisions. But can they act in time to save the people they love from Venda? Sigh. I couldn’t read this book fast enough. Such a great series. I was very pleased with the ending (eventually). I also appreciated that we learned a little more about Pauline but still kept true to Lia, Rafe, and Kaden’s journey. Definitely don’t read this series out of order. He nodded. “You’re right. It’s probably the best.” Bitterness rose in my throat. I hated things being for the best. They never really were. It was a phrase that sugarcoated the leftover crumbs of our options. This is book two in The Remnant Chronicles. Lia and Rafe are hoping to find out a way to escape from their captors, and Kaden is trying desperately to keep Lia safe from the Komizar. As Lia nurtures her gift, the people begin to welcome her into the clan, further complicating the situation. 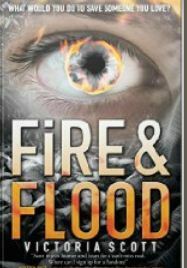 So I was really nervous when I read this book because I LOVED The Adoration of Jenna Fox, but only liked the sequels. That is not true for this series. In fact, I’ve already noted the publisher so I can try to beg and advance copy when I’m at TLA. This book was even better than the first one. There is an ending I never saw coming (warning-cliffhanger), and some interesting character growth. While this book doesn’t have you guessing about who the prince is like book one, it has tons to keep you interested. Some new characters your heart will break for, and cheer for, and some you just want to punch in the face. None, but there are some beautiful passages…I just forgot to write them down. Rachel’s quiet life in Baalboden is interrupted when her father goes missing. Having trained in secret, she knows she can find him, but it isn’t that simple. First she must convince the cruel leader to allow her to go; even if the cost is steep. I was surprised about how many mixed reviews this book got. 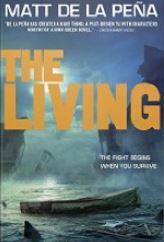 Yes, I guess it could be classified as dystopian, but I think it is more action adventure. Unlike other reviewers, I don’t think this story line just repeats other plots. This is the start of what I’m sure will be a great series. I listened to this on audio and really enjoyed it. The main reason that I’m torn on an above average/average review is that I think there is still a lot of the story to be told. I’m excited to read book two and see how the story evolves. Tella’s brother is facing a life-threatening disease. When given the opportunity, she chooses to participate in the Brimstone Bleed when the organizers promise her a cure for winning the contest. The problem? The Brimstone Bleed won’t be easy, and there is a chance she might not even survive. Tella finds friends in unexpected places and challenges around every corner. I’d gotten this book last year at the Texas library conference but just hadn’t had a chance to read it yet. After listening to Victoria Scott on an author panel, I knew I had to pick it up. She is just as witty and creative in her novel as she is in person. This story is quick paced and full of expertly crafted characters. I read both books back to back and now have to anxiously wait for the conclusion. Sigh. Hehe. None, but this is another case of consuming a book so fast I didn’t stop to write anything down. I made up for it in the next book! 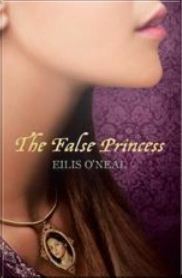 Nalia lived the first part of her life thinking she was the princess, only to discover that she was simply impersonating the princess because a prophecy predicted that someone would try to kill the princess. Forced into a new unexpected life, Nalia; now Sinda, discovers that even more secrets await. Loved this book! Reminded me of The False Prince in some ways, but creative in its own right. Some beautiful relationships and a creative story that got richer as it progressed. Hard to say too much without giving away spoilers. AUGH I had several of these, but the audiobook wouldn’t let me go back to them easily, so you get only one…sorry.